Japan, the home of the 2020 Olympic games and a country that is seeing a huge surge in the amount of the inbound tourists, but why? Earlier this year an article was published in the Japan Times that illustrated how the number of tourists arriving in Japan is growing at an alarming rate. So much so, that Prime Minister Shinzo Abe’s government has doubled the target of inbound tourists for the 2020 games –from 20 million to 40 million– since the previous target has been reached four years in advance. A record of 19.73 million tourists visited Japan in 2015, almost a 50% increase from the year before. Such an increase in tourism can only have a positive impact on the economy, with The Japan Times reporting that the Japanese government has set a new target for tourism expenditure – ¥8 trillion by 2020 – after a record year in 2015 with ¥3.48 trillion being spent by tourists. So what is attracting all these tourists? The answer, we believe, is to do with Japan’s sheer diversity. For a relatively small country it has something for everyone. All types of couples can enjoy many different experiences in just one trip, making it a perfect honeymoon destination. One of Japan’s main attractions is its stunning scenery. Mount Fuji is world renowned and attracts people from far and wide, for example. However, whilst 72 per cent of Japan is mountainous, it offers much more than just a rugged landscape. The island is littered with beautiful beaches and few other countries can match its serene atmosphere. It’s the perfect destination for couples who want to get away from their busy lifestyle and have a peaceful retreat. 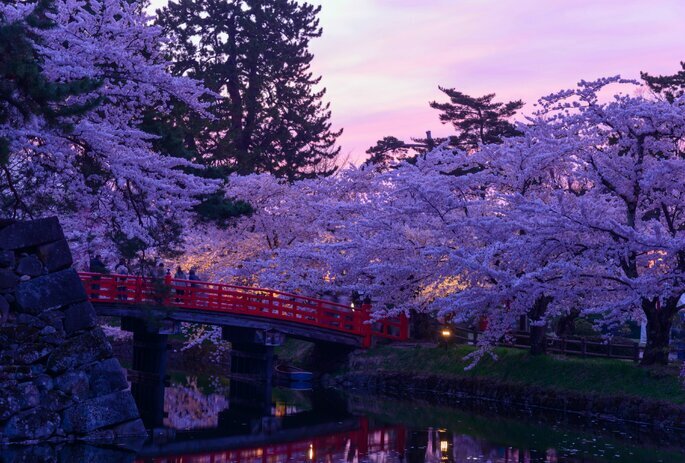 Futhermore, Japan boasts a fantastic vartiety of flora and is famed for being home to the iconic cherry blossom tree. Not that a couple may choose their honeymoon destination based on the plethora of plants alone, but every small detail adds to the spectacle. In other words, Japan’s small idiosyncrasies weave together and form a wonderfully rich fabric. 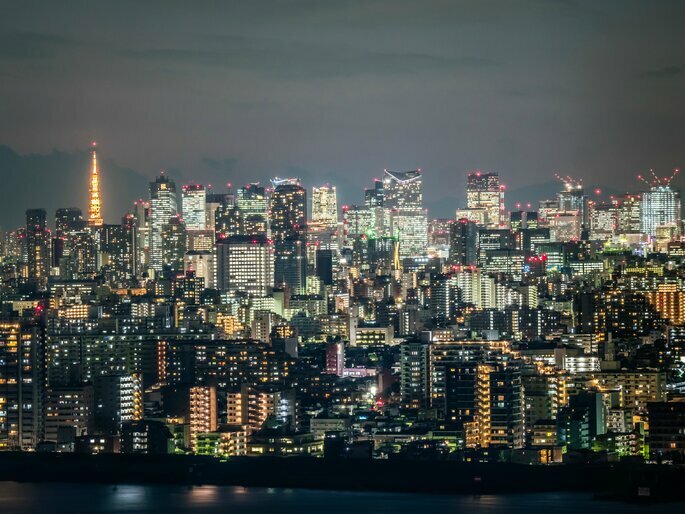 Tokyo is one of the world’s major cities, and leads the way in innovative technologies. It is a city ahead of its time and for that reason alone it attracts couples from every corner of the world. Nevertheless, Tokyo is not the only major city that Japan has to offer tourists: Kyoto, Osaka and Kobe are among other popular cities that make for a memorable city break. Kyoto for example used to be the imperial capital of Japan and was once voted the number 1 city for tourists. There are not many countries that can offer an aboundance of both stunning natural scenery, and vibrant cities. Japan is synonymous with good food, its cuisine won world heritage status and is now frequented by foodie tourists from all over the world. Couples cannot wait to try the local cuisine, be that sushi, tempura, or ramen to mention a few. 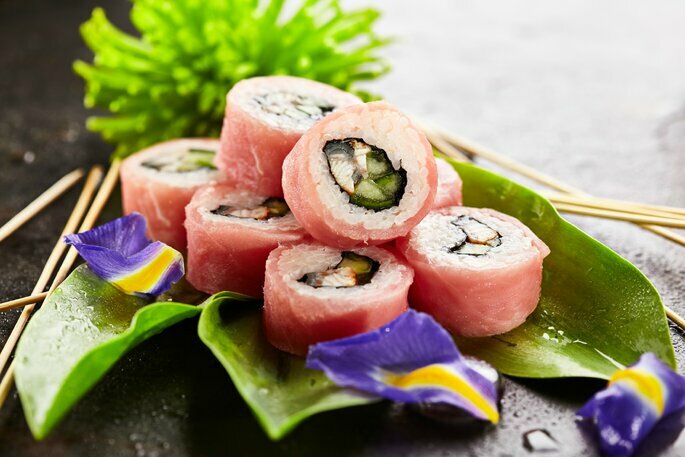 The sheer variety of high quality ingredients brings a freshness to every dish, and due to the way in which Japanese food is served, you are never left feeling hungry, nor too full. Japan’s gastronomic tradition is emblematic of the nations identity; always respecting their rich history whilst silmutaneously paving the way towards the future, with their consistent innovation. It’s the intricacies that lie within the simplicity, and the never ending search for perfection that makes Japanese food so unique. Even though there few countries as futuristic as Japan, it is still deeply rooted in its history, culture and tradition. It is this very paradox that makes Japan such a sought after country. A wonderful example of this is the Meiji Shrine. Located in Tokyo, it is a vast landscape covered by over 100,000 trees, devoted to the fallen Emperor Meiji and his wife Empress Shoken. It’s a place of tranquility and antiquity, and yet is found in the middle of one the most modern and vibrant cities in the world. 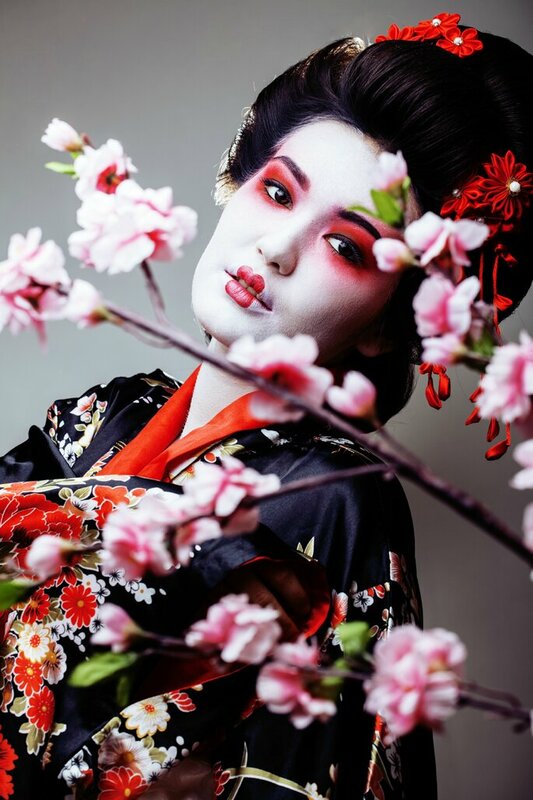 From the Samurai Warrior to the Geisha, from the Shinto religion to Buddhism, Japan is grounded in a rich history. Japan is one of the select few countries that still maintains its history and tradition wherever possible. In short, there is no single reason for the rapid rise of Japan as a honeymoon destination. 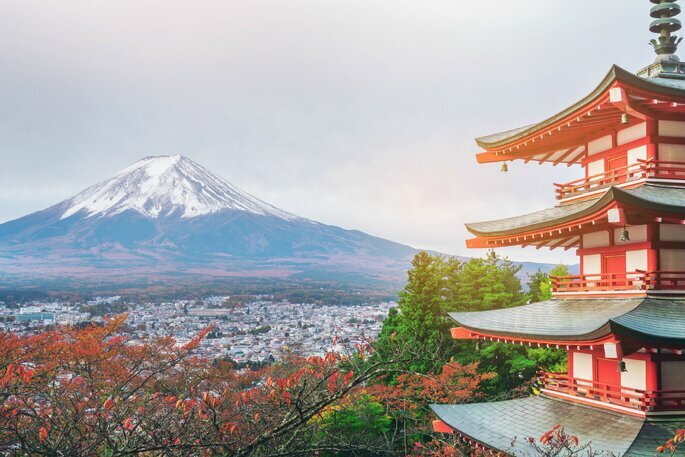 Japan has always been known for its culture, but more recently its tourist appeal has grown tremendously, perhaps helped by the fact that neighbouring countries have enjoyed economic growth, allowing for tourist visits to Japan to become a more frequent occurance. The Japanese government have put plans into place to improve the already impressive infrastructure, which will be able to manage the ever growing amount of inbound tourists more effectively. With this in mind, along with Japan’s growing efficiency in both the technological world and the tourist industry, the statement “luck is when preparation meets opportunity” rings true for Japan in particular.